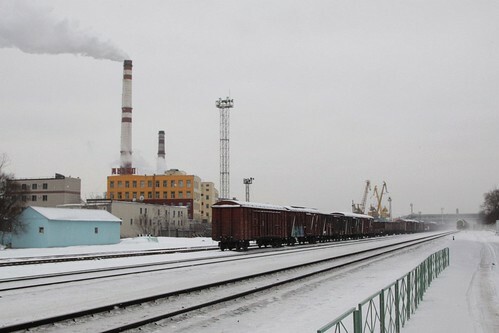 While travelling across Russia I saw plenty of freight trains, each made up of a variety of different rolling stock. 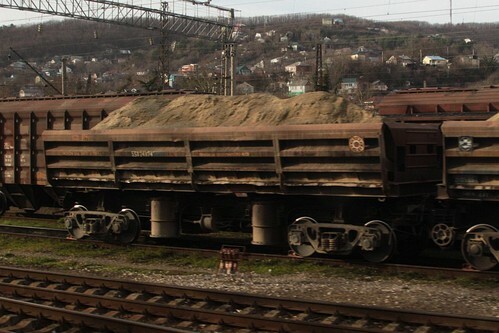 So how are each of these freight wagons identified? As with every other rail operator, the Russian Railways have a classification system – one inherited from the former USSR and also used by other operators in the Commonwealth of Independent States. 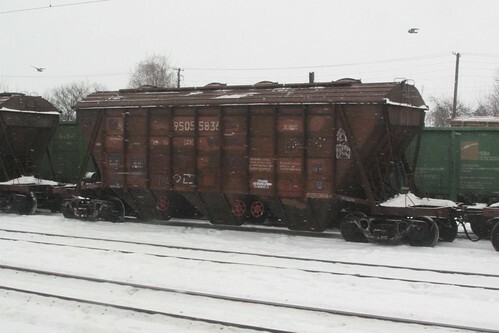 Each wagon has a eight digit number to uniquely identify it, as well as a model number from the «Единая нумерация моделей вагонов» (Uniform System for Classification of Rolling Stock). 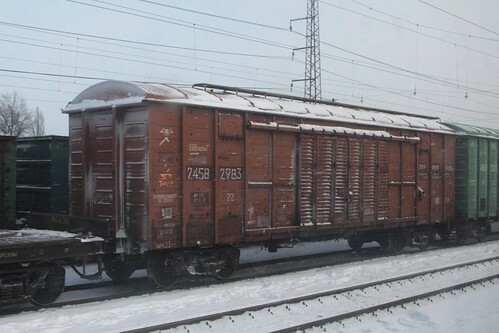 The Uniform System for Classification of Rolling Stock is a system to identify freight wagons, passenger carriages, electric and diesel railcars, metro trains, and trams in the former-USSR and now the CIS and Russia. Put into effect in 1976, all rolling stock produced by domestic enterprises is assigned a model number. This model number consists of two parts, separated by a hyphen. The first part indicates the type of the rolling stock, while the second part refers to a specific model of rolling stock. The second part is usually divided again into two parts – the first digit usually indicates the company that developed the design, and the second part being the relevant drawing number. Note the appearance of two non-rail vehicles items in the list – type 18 “freight wagon bogies” and type 68 “passenger car bogies”. Model 12-1704-04 “4 axle gondola with floor hatches” – numbered #54042643. Model 11-739 covered grain hopper #95055836. 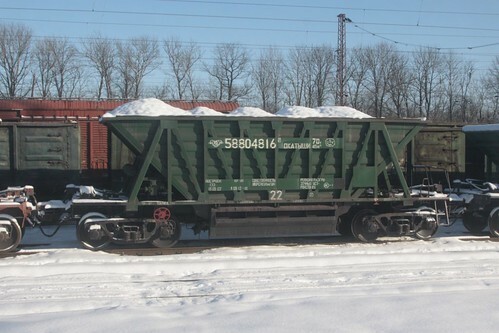 Model 20-4015 “4 axle wagon for transportation of pellets and sinter” #58804816. Model 15-1780 liquefied gas tank wagon #76605112. 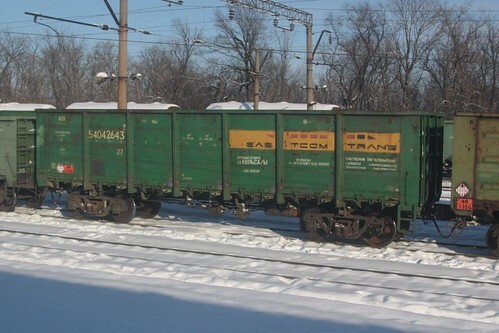 Model 31-673 side dump car #55824874. 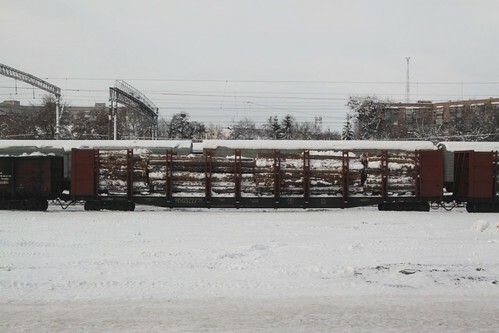 And model 23-4000 log wagon #91503227. You can find an extensive list of wagon model numbers at the rail enthusiast managed vagon.by website, who also offer the previously mentioned wagon number to model lookup tool. 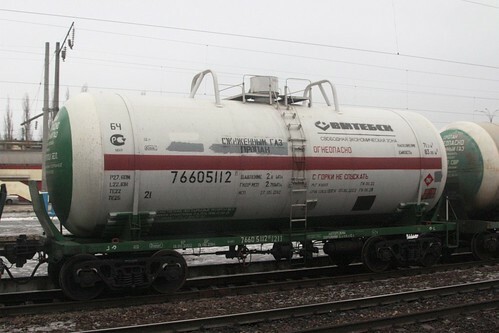 This entry was posted in Trains and tagged freight trains, Russia, Russian Railways. Bookmark the permalink.